There's two schools of thought on reviving an old pub. You can go the full Merivale, adding schmick dining options and beautiful design elements (Queens Hotel, the Paddington, the Newport), or you can take the approach that favoured by James Wirth, Michael Delany, Joel Amos, and chef Toby Wilson. Recently they breathed new life into the Duke of Enmore, leaving the bones much as it was but adding a new kitchen and a much, much better drinks list. Bow they're turning their attentions to the George in Waterloo, which is set to reopen on Friday, April 5. The backstreets boozer was built in the 60s by defunct brewery Tooth's and it'll retain a lot of it's vintage, hard-brick styling, but they're updating the beer garden, setting up a killer bottle shop (the first bricks and mortar shop for natural wine purveyor DRNKS) and installing Wilson back in the kitchen where he will be on taco duty. 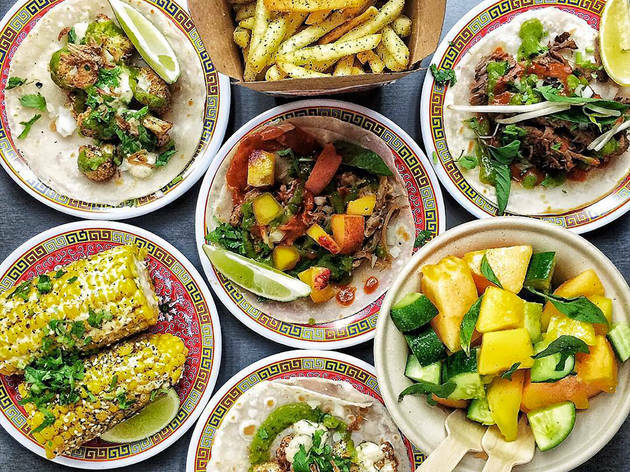 You might remember Wilson from his Ghostboy Cantina outlet in Chinatown, or his mod-vegan Mexican fare at Bad Hombres. 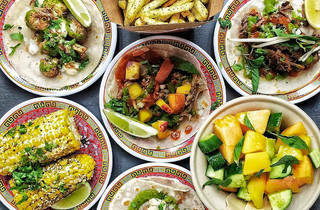 His new venture is Taco King, an homage to Mexico City's taquerias serving tacos al pastor (rotisserie pork shaved to order on house-made corn tortillas), Baja-style shark tacos and ceviche tostadas. It's a democratic drinks list, with VB, Resch’s, and Emu sitting alongside Young Henry’s, Grifter, and Hawkes; Central and South American spirits like tequila, cachaca, pisco, and rum to compliment the food; and some killer natural wines by the glass. If you're here for a long yarn, you can even pay $20 corkage on anything from the bottle shop and drink it in the dining room.